From amateur ecologists to charismatic aristocrats and war tourists, the first explorer yachtsmen blazed a colourful trail. "Brandy, prussic acid, opium, Champagne, ginger, mutton-chops and tumblers of salt-water,” listed Frederick Hamilton-Temple-Blackwood, 1st Marquess of Dufferin and Ava, in a letter to his mother. This was the roll call of remedies with which he was trying to cure his (apparently sporting) friend, Dr Fitz, of seasickness – they were on board the Marquess’s schooner Foam in 1856, making a choppy passage from Scotland to Iceland. Today, the pair would likely have zipped in by plane or helicopter to meet the yacht in Scandinavia – leaving the crew to endure the North Sea’s roil alone. But when the Marquess embarked on his adventure, no such option existed. “If you wanted to go off and see the world, having a yacht made that possible in a way that no other means did,” says William Collier, managing director of classic yachts specialist GL Watson. 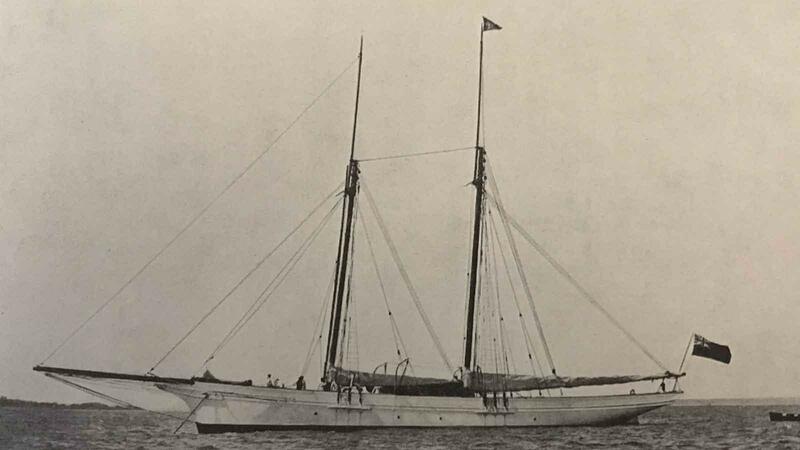 And so an off-grid transport problem – which lasted until the end of WWII – created a long golden age for the explorer yacht. 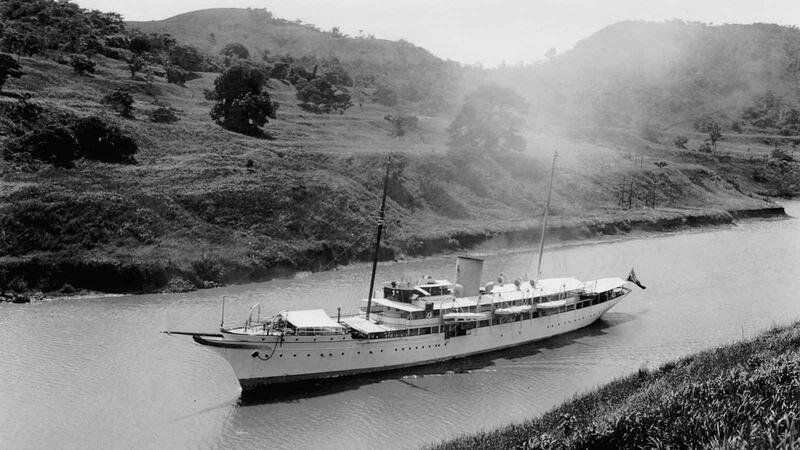 For some, a yacht simply enabled long-range travel in comfort: in 1931 Lady Yule and her daughter visited New Zealand, Australia and Miami on 91 metre motor yacht Nahlin. For others it meant expedience: after he’d raced his Camper & Nicholsons schooner Wyvern in the first America’s Cup, in 1851, Lord Marlborough lent her to his son Lord Churchill, who sailed from the Cape of Good Hope to Australia in the record time of 36 days (he was speeding to the gold rush). For others still, a boat was a ride to a far-flung shore: “Yachts went to the Crimean War because it was fun, stuff was happening,” says Collier. “Lord Cardigan, for instance, of the Charge of the Light Brigade, lent his yacht [Dryad] to a chum who sailed out to watch the Siege of Sevastopol. Then there are the true adventurers, such as the Marquess. The writings on his voyage through Iceland and Norway are steeped in the charm that made him a spectacularly successful diplomat. Amid the geysers he bumps into Prince Napoléon Bonaparte – plus a vast entourage – and has his crew whip them up a feast of game and plum pudding from his meagre stores, an incident he describes with a what-else-could-I-do matter-of-factness. Later, he is pleasantly surprised when the monarch and his entire cabal ditch their plans and follow his boat to Jan Mayen and Spitsbergen. He’s an elegant and entertaining writer, chronicling the evening sea “burnished, darkling into a deep sapphire blue against the horizon”, and “contorted lava mountains, their bleak heads knocking against the solid sky”. Many of his ruminations are also salutary tips for owners going off grid today – including the “rapid transformation” from heaven to hell that weather makes at extreme latitudes and thus the all-importance of when to go. The Marquess published a book of his writings, Letters From High Latitudes, which is still readily available. 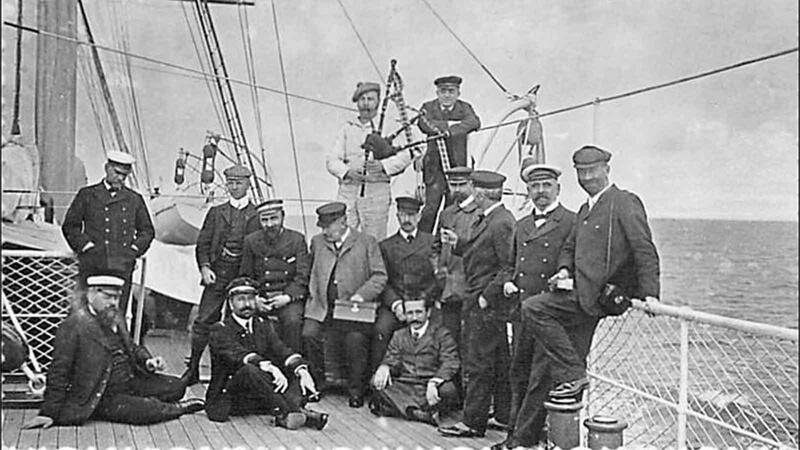 Other yacht explorers left a broader legacy. The first yacht of Prince Albert I of Monaco, the 200-tonne sailer Hirondelle, sparked a lifelong passion. He founded Monaco’s Oceanographic Institute, tracked whales, studied fish and discovered Princess Alice Bank in the Azores. During a 1921 speech at the Washington Academy of Sciences, his language conveyed a raw wonder for “the awful spaces of the ocean, which almost daily yielded tons of beings unknown to science – abyssal cephalopods or pelagic crustacean”, and fish with “luminous organs”. Experience also placed Albert ahead of his time in understanding the effects of over-fishing and “steam trawlers”. He even suggested the “reserved district principle” – marine reserves of the sort now championed by Blue Marine Foundation. On the other side of the Atlantic, wealthy Americans were undertaking their own naturalist adventures. In the late 1920s, socialite and diplomat Anthony J Drexel Biddle Jnr took his yacht Queen of Scots on an epic trip from Bayonne to North Africa, the Canary Islands, Cape Verde, Barbados, the Panama Canal and the Galápagos. 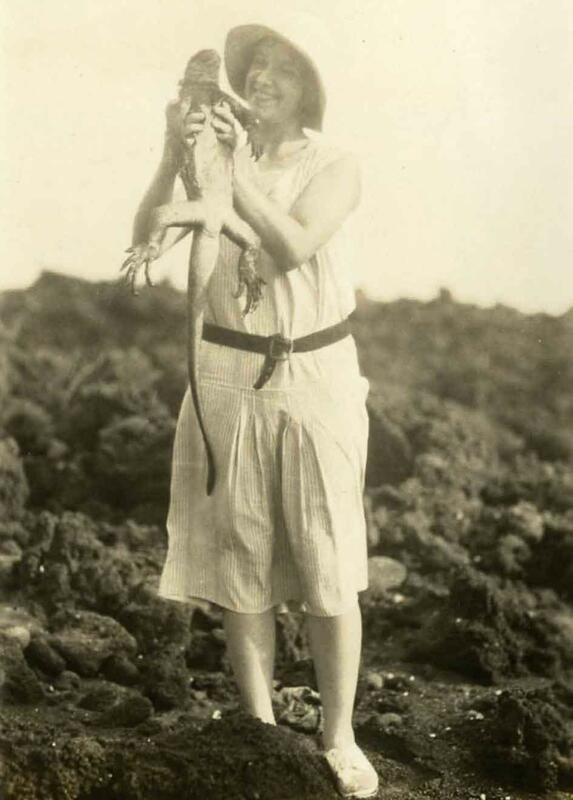 The family hunted, fished, photographed Talamanca Indians and collected specimens for the British Museum. 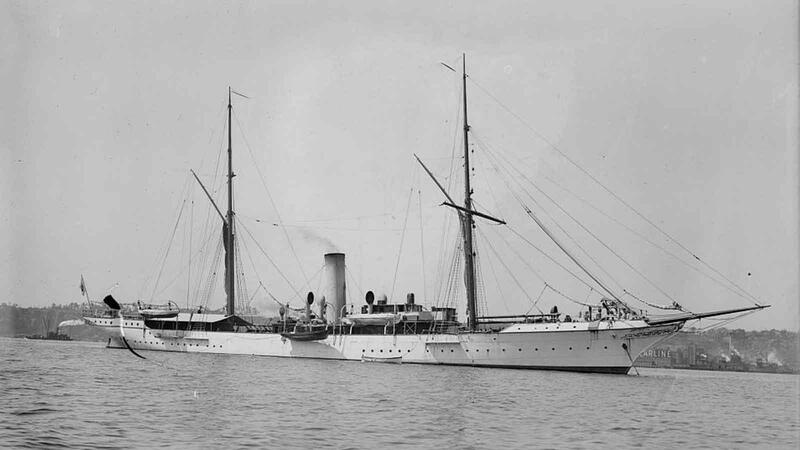 William Kissam Vanderbilt II, meanwhile, made his voyage to the Galápagos in 1926 on his 65 metre yacht Ara, a former French warship. He discovered a new species of shark and reeled at the bounty of natural wonders but, like Prince Albert, grew concerned for their safety. Back home he wowed guests with a slide show of his trip, but finished with an odd shot. His biography, by Steven H Gittelman, calls it “a night scene where the dilapidated shore met the sea’s edge and a long trail of the moon was reflected in the water”. Populating it were forlorn goats and an emaciated donkey. These were the introduced species and “by virtue of numbers they extinguished all in their path. Nothing, regardless of its rarity or beauty, was spared, until finally the invaders too began to starve.” It was an ecological warning to his world-roaming and powerful guests. The Golden Shadow is the research vessel. Tasked with providing accommodation and diving support for over 30 scientists at a time, from all over the world, it is a vital component for any ocean research on this scale. Take a guided tour with the director of the Khaled Bin Sultan Living Oceans Foundation, Phil Renaud, and go below decks to see what's inside. Today’s explorer yacht owners have taken up their forebears’ legacy. One group of owners have helped realise Albert I’s dream with the world’s largest marine reserve in the Chagos Islands. In 2015 Paul Allen recovered the bell of the battlecruiser HMS Hood, sunk by the Bismarck in 1941, using his yacht Octopus and her state-of-the-art remotely operated vehicle – it will be restored as a tribute to the 1,415 lives lost. And a couple of years ago, explorer yacht Arctic P ventured further south than any vessel in history. Improvements in transport – and stabilisers – mean there is less call for prussic acid and tumblers of seawater. But with a burgeoning list of ultra-tough superyachts hitting the water, for a new breed of yacht-bound explorers, the golden age dawns again. GeoGarage blog : US billionaire Paul Allen discovers wreck of Japan's ... / James Cameron to dive very deep into Pacific Ocean ... / Do humans have a future in deep sea exploration? Mass GPS spoofing attack in Black Sea?